Do you worry too much about what other people think of you? Do you often neglect yourself just for the sake of others? Do you make decisions based on what will please others? Is your worth dependent on other people’s approval? Do you often tend to keep mum rather than speak your mind because you’re afraid of displeasing the people around you? Do you base your actions on what others expect of you? If you identify yourself in these situations, you are not alone. In fact, a lot of us are people-pleasers, trying to make everyone around us happy at our own expense. I used to want to appear pleasant in the eyes of my family, friends, and workmates. I often stayed quiet because I didn't want to say anything that they might not like. My actions became very limited and I patterned my way of thinking based on their expectations of me. As a result, I took myself for granted, I had lower self-esteem, and I lost my drive in life. Until the time came that I didn't want to live like that anymore. Gradually, I diverted my way of thinking and got out of that way of life. This is what I would share with you today. But before I begin, I will first clarify what people-pleasing really is. If you do something out of love and respect, that is not considered as people-pleasing. An action will only fall under that category if you do things that you don’t really want to or if your actions become destructive to your overall well-being just to gain the approval or validation of other people. What actually happens to a people-pleaser? How would you feel if a person who’s important to you continually takes you for granted just to attend to the needs of others? Is this acceptable to you? Most likely, you’ll feel upset with them, and because of this they will continually kick you out of their life so they can find people who can accept them. This is what you’re doing to yourself each time you please other people. How can we turn away from people-pleasing? If you truly want to change, you should be ready for the negative reactions from people around you. When I stopped being a people-pleaser, I lost a lot of people who I considered friends—people who only want me to live according to what they want. At first, I felt like a horrible person but later on, I found friends who love and accept me for who I am. No one else can determine your real value except for yourself. You should understand that you are important just like everyone else. You have the right to live and enjoy everything that life has to offer. Learn how to say “no” in a nice way. This will not be easy for people around you to take. That’s why I advise that you remain respectful even as you say no to them. If others will ask favors from you, you can always decline if it doesn't sit well with you or if you can’t do it. However, you can’t just say no and turn away and you don’t need to make-up stories just to avoid them. All you need to do is stay honest and explain why you can’t accommodate their request. 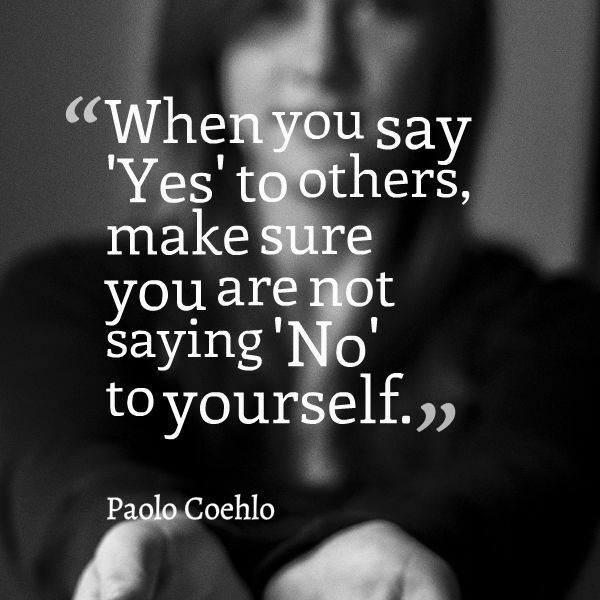 You have every right to say no if you don’t feel like doing something or if it is something beyond your capabilities. You need to remember that you also need to be rational during these times so that you avoid hurting others in the process. You can re-schedule the tasks delegated to you by others, so that you can attend to your priorities first. But you need to let them know in advance. This way, you are not just respecting your needs, but their time as well. Accept the fact that you can’t please everybody. Even if you try your best to be a good person, there will always be people who will challenge you and test your patience. Accept the fact that not everyone you meet will like you. If others will not like you even if you didn't wrong them in any way, you don’t need to worry because it’s their problem, not yours. Don’t let other people manipulate you. It’s up to you whether you will give others the right to control you or not. You will notice that there are people who will say good things about you so they can make you do something in their favor. Believe me, a lot of people are like that. This is their way of gaining control over the people around them. Don’t let them decide for you. Remember, you can always say no. It’s about time to free yourself from things that hold you back from being free. You don’t need to feel guilty because others don’t like you even if you didn't do anything wrong. You don’t need to try hard to belong into a group who only wants you because of your submissiveness. You don’t need to sacrifice your self-worth just to please others. You don’t need to live based on their expectations. You’re a free person and that’s something you should celebrate.